June 23rd was shaping up to be an exceptional day. 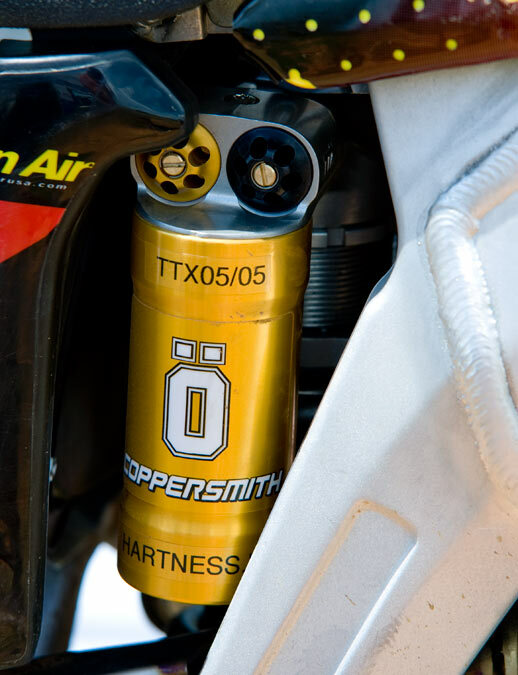 As a result of several weeks of phone calls and emails trying to get schedules to coincide, I managed to arrange a test with Thom Smith of Coppersmith Suspension Services to test the Öhlins TTX rear shock on the RMZ450 we have. I would be going for a pleasant drive to the country to a favorite track of mine called Center Road MX in Booneville, NC, the owners Jay and Sandy are super friendly, the dirt is always great and the track is well groomed. 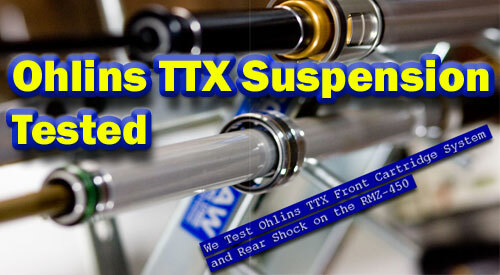 Thom is the man when it comes to setting up suspension and when it comes to Öhlins he is as close to God as you can get. 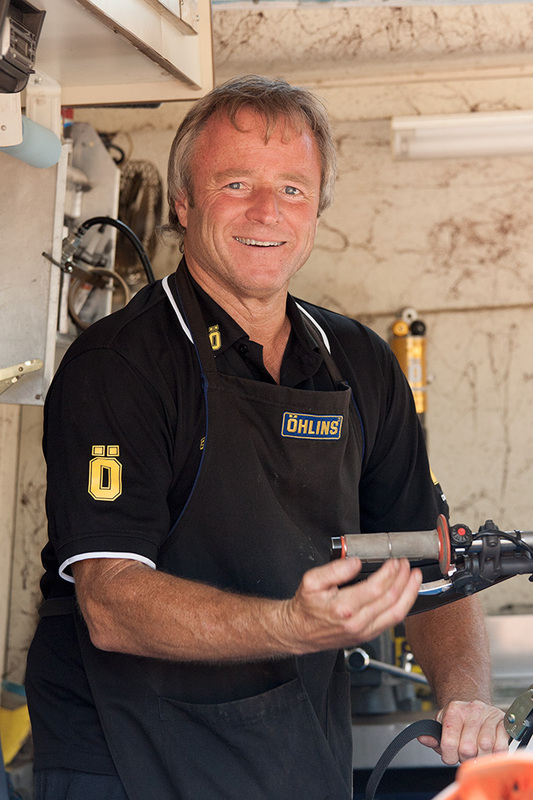 He works with top pros across the nation running Öhlins suspension on their bikes and we think if they are cool with his advice we should be too. Thom says “most people try to deal with the reaction, not the cause”. Say you bike is kicking going into a corner. He suggests; ask yourself why the bike is kicking? Is it possible it’s bottoming, then kicking? The typical rider will try to deal with this problem by slowing the rebound because he’s trying to fix the kicking or rebound issue. The result of adjusting the rebound in this situation is the shock still bottoms but now there is less traction because the shock is packing up. The key is in asking yourself why is the bike doing what it is doing? Not simply asking what is the bike doing. He says “If you have a problem with rebound it’s usually made better by adjusting compression. If you take care of compression the rebound takes care of itself, and balance is a must”. 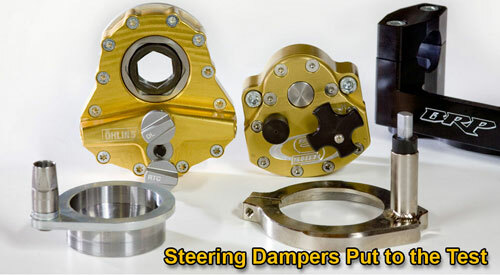 We have seen time and time again how important suspension setup is. We suggest everyone have at least the correct springs installed and set their sag before making any other modifications to their bike, especially mods to enhance speed via increased HP. Going fast on a motocross bike is hampered by a suspension that is not set up properly. If every time you hit a bump you feel it, you will be inclined to slow down over it the next time you come across it. 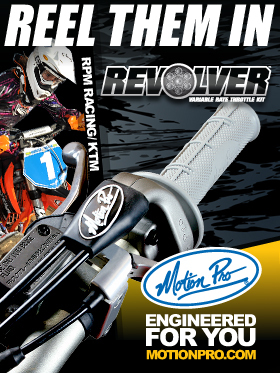 If you have you suspension dialed, you feel the bump less and can hit it harder-faster, this makes for faster laps times.We have seen time and time again how important suspension setup is and so many riders neglect it. 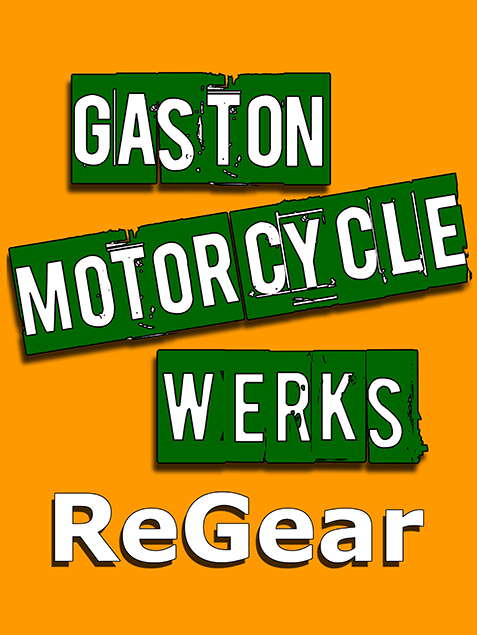 We suggest that everyone, at the very least, make sure they have the correct springs installed and set their sag before making any other modifications to their bike. Especially mods to enhance speed via increased HP or engine/ pipe mods. 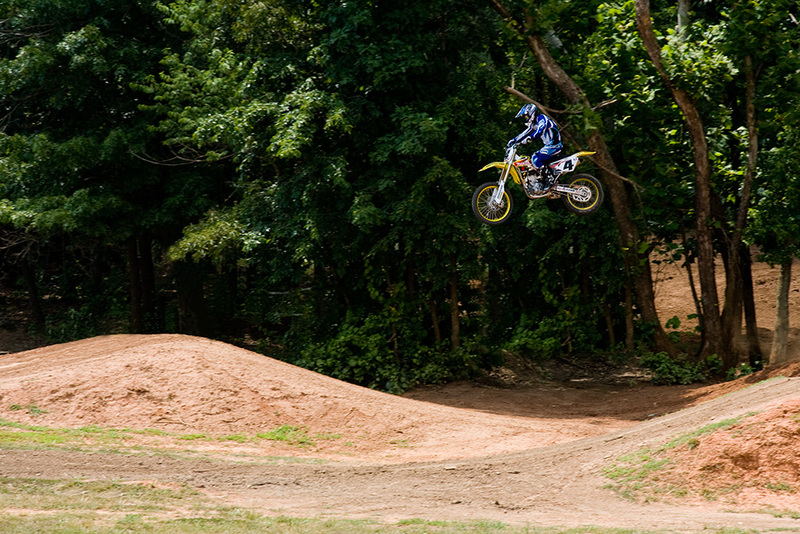 Going fast on a motocross bike is made more difficult by a suspension that is not set up properly. Here’s an example: If every time you hit a bump you feel it, you might choose to slow down over it the next time you ride through that section. However, if you have your suspension dialed, you feel the bump less and can hit it harder-faster, this makes for faster laps times and less fatigue. The Öhlins TTX44 is made with a twin tube design that allows for gas pressure to always back-up the low pressure side of the piston so the oil pressure always matches either side for more consistent damping. The twin tube also enables the TTX to have two separate adjusters on top for compression and rebound damping. In addition to compression and rebound adjustment, the Öhlins unit has a Chassis Stability Control adjuster on the shock shaft which allows for balanced adjustment of compression and rebound with one adjuster to go quickly from firm to softer settings or compensate for temperature changes. As we mentioned before the RMZ450 had a tendency to kick under acceleration. With the TTX unit installed the Zook was tracking better going into corners under hard braking and had better traction under acceleration, plus it was more plush and it didn’t bottom…period. This additional traction made it easier to carry momentum through the corners which meant we were riding smoother and smoother means less energy expended or more endurance. Hi, constantly i used to check website posts here early in the break of day, because i like to gain knowledge of more and more. i am new inside the route of blogegine platform, so any suggestions on accepting my net page analytic excellent is usually appreciated. I’m really enjoying the theme/design of your blog. Do you ever run into any internet browser compatibility problems? A few of my blog audience have complained about my blog not operating correctly in Explorer but looks great in Opera. Do you have any ideas to help fix this problem? The baby video monitor can be purchased as a kit with either one or two portable camera’s, however it does accommodate up to 8 camera’s which can be purchased individually. an included secure online viewing portal that enables their customers to access a real time live, full-color video feed from their camera all from anywhere in the world that has internet access. Swings also make great baby sitters while you indulge in the luxury of a shower or a meal without a baby on your hip. But in Reach typically the Sky, all you will is a a small amount of deft clicks of your mouse and some well-timed keyboard moves! Get to concept Barbie for some of the night and schedule outfits to equal the occasion.